We are engaged in offering our clients with a comprehensive range of Car Seat Belts that is also known as safety belts. Our range is specially designed to secure the occupant of a vehicle against harmful movement, which results from a collision or a sudden stop. 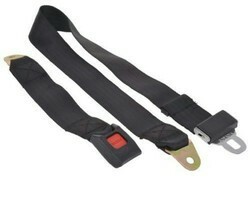 Our Seat Belts are available at most competitive price. Kongsberg Automotive provided the very first serial produced seat heating system over 40 years ago, and since then we have been among the leading seat heat manufacturers globally. We deliver millions of seat heaters every year in many different shapes and designs targeted to fit any type of seat. We are engaged in manufacturing a premium range of seat belts. These seat belts are manufactured from quality materials and as per the international standards. Vidhya Breeding Works produce seat belts for automotive from small car to SUV MUV also for bus and trucks with latest machine and International quality standards which saves life during accident. KSS Abhishek Safety Systems Private Ltd. BEIGE Car 3.6M Seat Belt Webbing Polyester Seat Lap Retractable Nylon Safety Strap. Assisted by our team of dexterous professionals, we are affianced in offering an extensive gamut of Car Seat Safety Belt. Universal 3 Point Type size 2"X 84"
Our company has gained name and fame in presenting Car Seat Belt.